I used to view polo as the exclusive sport featured on Lifestyles of the Rich and Famous — or in Pretty Woman when an impeccably dressed Julia Roberts stomps divots while sipping champagne. In other words, not a family-friendly, accessible or affordable activity. But thanks to the recommendations of Palm Desert locals, I’ve happily discovered that polo, at least in Indio, California, is a delightful family affair. It’s nearly free, you can tailgate and kids of all ages are welcome. The Coachella Valley is truly one of the most beautiful destinations in the United States. Fan palms and lemon and orange trees line the roads, and the majestic San Jacinto Mountains rise in the distance. Nearly year-round sunshine kisses the manicured golf courses and shimmering pools that make Palm Desert an ideal vacation spot — which is why my family visits every winter. 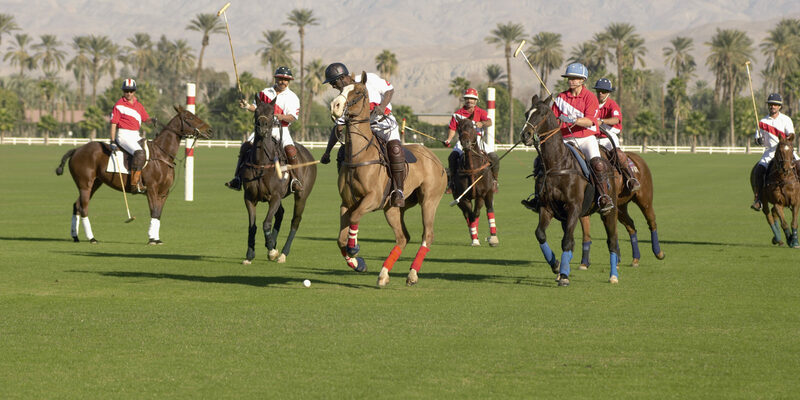 Located just a few minutes away, in Indio, you’ll find two adjacent polo clubs called Eldorado and Empire. Both clubs offer Sunday matches that are open to the public. For the past decade, my family has piled onto the emerald green lawn of the Eldorado, which usually attracts a more relaxed crowd, to watch all the action. 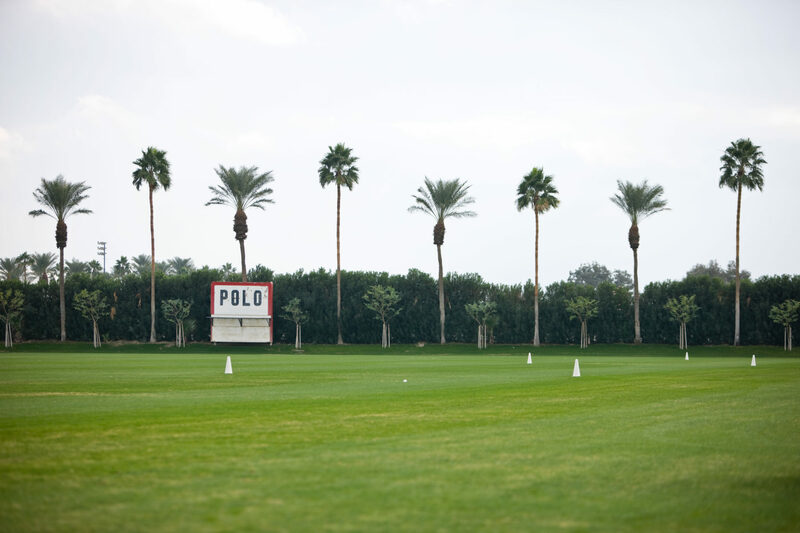 Polo combines the high-octane thrills of hockey with an idyllic outdoor setting. Play-by-play announcers, who call the games for spectators, don’t just announce the score — they introduce the players, explain fundamental strategies and tell the audience on the sidelines when it’s time to get up and stomp divots (more on that later). Still, it’s helpful to know the basics before you go. Polo is a fast-paced game played on horseback along a 300-yard-long grass field (in square yards, the size of nine football fields). Each team consists of four mounted players who gallop down the field toward the opposing team’s goal post and try to hit a ball through the goal with a mallet. A game lasts about an hour and consists of six chukkers, each of which is seven and a half minutes long (with four minutes in between). Players use a different horse for each chukker. 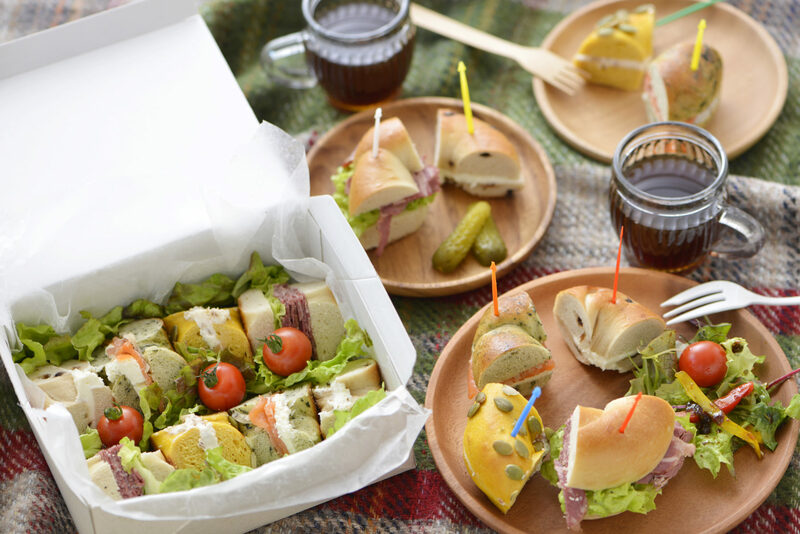 Tailgating is actually one of polo’s oldest traditions, but how you do it is completely up to you. 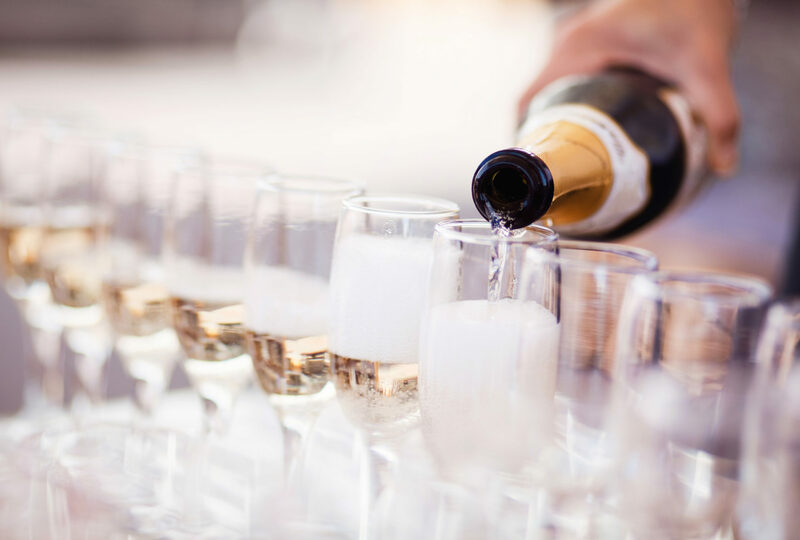 Some people go all out, bringing elaborate spreads of champagne and canapés complete with pop-up tables, silverware and comfy spectator chairs. When my family attends, our group usually includes a child and at least one four-legged companion (well-behaved dogs are welcome to watch the matches, too). So we spread out large blankets, bring a few bags of chips and treats, and purchase sandwiches and cocktails at the concession stand. When we visit Empire, we typically stop at the Tack Room restaurant, which offers burgers and nachos in a casual, equestrian-themed atmosphere on the far side of the field. Then there’s the divot stomp, a long-standing polo tradition that’s become one of our favorite parts of the experience. At half-time, spectators (including dogs and kids) stream onto the field to stomp down the grass divots kicked up by galloping horses. It’s an excellent way to burn off energy and see the club. You can also opt to enjoy a glass of bubbly, allowing you to live out your movie star polo dreams in style. Polo season runs from January through April and matches take place on Sundays at noon and 2 p.m. Admission is approximately $10 per car. Melissa K. is a travel journalist who lives in New Jersey.